Recording phone calls on an iPhone isn't impossible. You can do so with application like TapeACall, with which you can easily register incoming and outgoing calls. Save any phone call of your interest. Regardless of the reason, you might just need to record a call. Remember that, depending on the laws of your country, you might have to warn your conversational partner that you've started a recording. Record incoming and outbound calls. No limits to the length of the calls. No monthly rates or charges per minute. Download your recordings to your computer. Send recordings by email in MP3 format. Share recordings by SMS, Facebook and Twitter. Tag recordings to find them easily. Recordings available as soon as you hang up. Access to laws about call logs. Cloud storage for a year. How does this call recorder work? 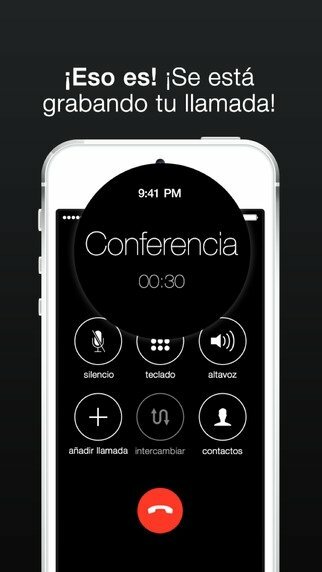 Once the call you want to record is taking place, you have to open the application and press the Record button. 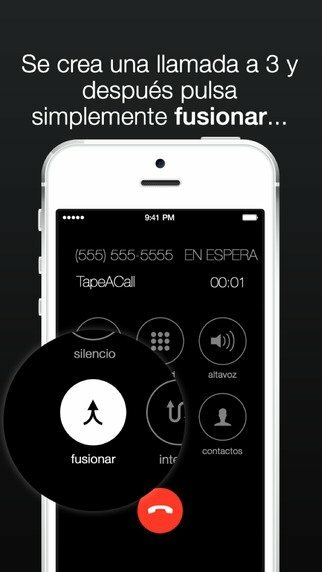 At that moment, TapeACall will tap into the recording line and record the audio of your communications.